After college, I was a top sales person at a beauty boutique in Washington, DC and gifted the skincare products of my dreams. I was so excited and thought “I’m going to do the complete routines and my imperfect skin will look flawless!” After several months of using all of the products my skin, unfortunately, ended up looking more irritated. 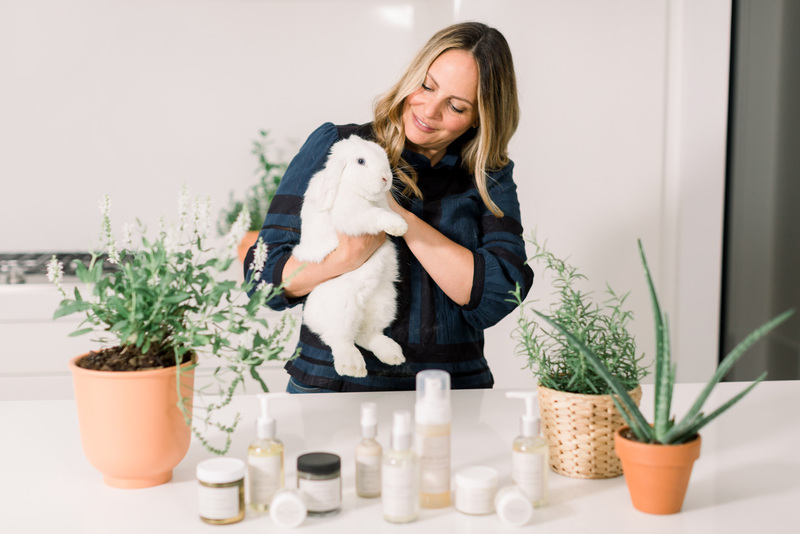 During that time, I was an intern at the National Geographic Society and, in my spare time, I researched skincare formulations and cosmetic chemistry. Imagine my dismay to discover that traditional products are various forms of toxic soup wrapped in beautiful packaging and sold with great stories. Armed with the truth, I decided to go green. I cleansed my face with a farmer’s market natural soap and set off on the tough journey of making an organic cream (it became the Combat-Ready Balm!). At that time, I also enrolled in beauty school to become a licensed esthetician.